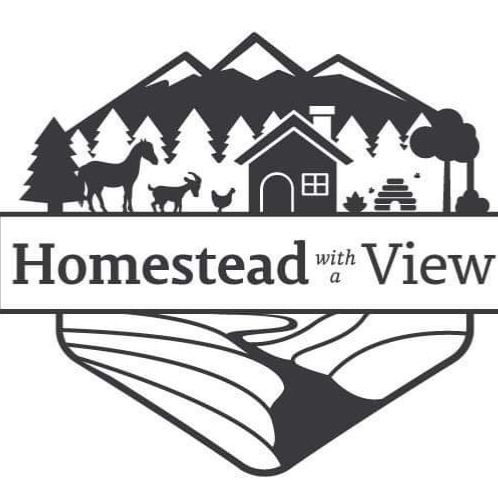 Book a stay at the homestead! Each morning I wake up to the rooster demanding breakfast and fresh water for his girls. This call stirs the house as the dogs begin to shake their tired joints and loosen there bones in a whole hearted stretch across the living room rug. The wood stove still radiates a slight amount of heat as I walk toward it but all that remains is ash and a handful of coals. Each morning I place a few small logs back inside the cast iron stove and allow it to breathe with the door open while I complete the other morning chores of the homestead. The walk back and forth to the rabbit hutches and chicken coop has become quite treacherous with two inches of black ice. One does not defeat mother nature in the winter, we simply adjust to her cold bitter gaze. Water bottles and troughs are filled while frozen bottles are brought back into the house to be thawed by the now glowing logs within the wood stove. Today is a special day, it is Sunday; a day that is usually intended for rest but has somehow become a sacred day of routine for me. I typically wake on the weekend to the hens singing their egg song which is similar to that of someone choking on a crude joke with a few chuckles and pecks thrown in prior. The first egg song is usually around 8:20 AM, which is several hours after the rooster has awoken everyone. I drift in and out of dream filled sleep during that time. On this day of routine, before rekindling the fire I take my stove shovel and metal bucket and carefully sift threw the hot embers. All I wish to remove from the stove is the silty ash that has a tendency to go airborne and cause serious coughing fits followed by a miserable headache. Do not rush this chore- I repeat, DO NOT RUSH collecting the ash from your stove. You will be guaranteed to be dusting the house for the next several hours otherwise, and again all with a very miserable headache. This is all due to the fact that coals and ash in the stove are releasing carbon monoxide. Yes, you heard that correctly you will be removing poison from your stove and putting it to good use. So as you collect your ash, please be careful and very mindful of how much of the white clouds you inhale- maybe try to keep your pets out of the house during this time as well. Once you have cleaned it to the best of your ability; immediately bring the bucket outside and do not place on any flammable materials such as a wood deck or cardboard. The coals and ash can still retain enough heat to light a fire as you know from my earlier statement about simply adding more wood to the stove in the morning and giving the door a crack to let the coals breathe. Now that I have got the house keeping out of the way let’s talk about wood stove ash uses, shall we? My go to use for ash is to gain traction on my walkways around the homestead. Simply snow shoveling is not sufficient to keep the walkways clear and free of hazards like slipping. I use small amounts of wood ash sprinkled along my walk ways to keep from falling down with a handful of fresh eggs or bag of feed. I am floored (pun intended) by how great this method works. Even Luke was surprised when I told him my trick to defeating the ice covered walkways every morning and night. I wish I could use it at a larger scale on the 4.7 mile road down the mountain. This time of year it is all wheels chained and 4×4 or no getting in and out for me. I think that would be a different story with enough wood ash and a way to dispense it on the road at that large of a scale. Next, you can be extra crafty by making Lye with your wood stove ash. I personally have not come to that point in my homesteading journey. I fully intend to in the future as this year will be my year to get milking goats. With the addition of goats I will begin to dabble in soap making, butter churning and I even intend to try my hand at goats milk ice cream. My mouth is watering at the thought. If I am left with ash after fully dusting my walking trails I will leave it overnight on a pile of snow to truly verify the heat has completely dissipated. In the morning I bless my hens with a pile of ash near their favorite dusting spot in the coop. Some homesteaders have informed me adding D.E (diatomaceous earth) food grade to the ash is also beneficial to the birds for mite control. I have not done this yet as I continuously forget to add it to my shopping list when in town but so far no issues with mites, knock on wood. And last but not least, add ash to your compost pile! Again, make sure the ash has cooled completely prior to doing this especially if you put dry grass clippings or cardboard in your compost. Go sparingly with the ash in your compost as a little goes a long way and to much can ruin the pH balance in your pile. So, if you have no more walking trails or driveway to sprinkle traction on, the chickens are up to their neck in ash and your over the hassle of making soap from scratch; by all means give your compost pile the remaining ash. How do you use ash at your home? Have you ever thought about using it to control ice? I hope I have tempted you to give it a try, I do not think it will disappoint. Using the ash on ice is a great idea and something we have never tried. I have used it as fertilizer. When my lilac bushes would not blossom I sprinkled wood ash around them in the fall and had beautiful blossoms the next spring. The same worked for apple trees. I still haven’t used it for soap making – maybe one of these day.